Investigates how sustainable communities are using flexible financial instruments such as crowd-funding and private bartering exchange platforms to incite micro-economic change in cities. The alternative currency movement to follow the international financial crisis of 2008, reflects an increasing interest in community-based participatory budgeting. 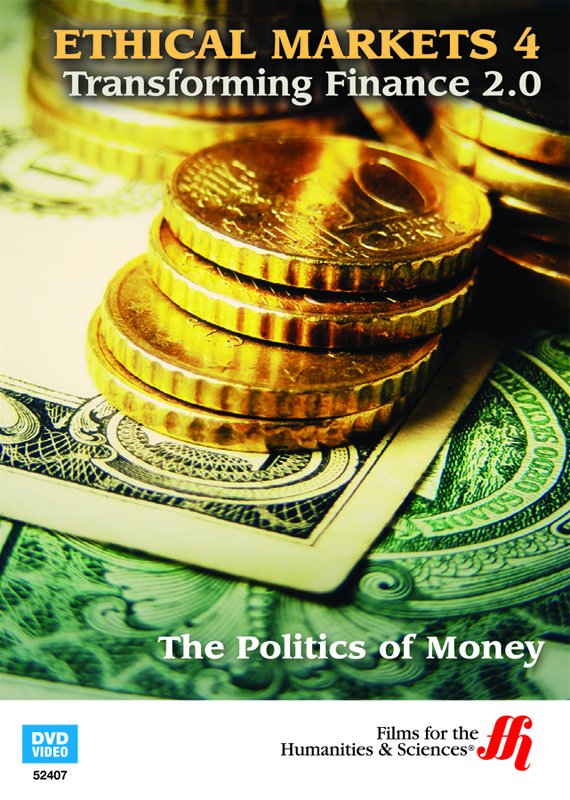 The Politics of Money: Ethical Markets 4 (2012) explores force of macroeconomic change in the global financial markets in the micro-economic context. According to proponents of alternative currency and budgeting movements, a commitment to sustainable or ‘green’ community development projects set the pace for new financial strategies. Communities have taken the value added concept further, issuing discounted currency coupons for trade. An alternative market mechanism, enabling community members to stabilize their own neighborhoods in times of radical price inflation; encouraging them to buy local products at a better price. Solution to devalued household income, alternative currency coupon exchange often serves as stop gap to cost living increase. Hosted by Hazel Henderson, the documentary investigation into the public-private partnership strategies backing alternative currency and participatory budgeting activities imagined by Cofounder of Fund for Complementary Currencies, Christopher Lindstrom. The Fund proposal to reestablish a connection between currency valuation and community is the vision behind BerkShare, an alternative currency based on community and environment values attributed to sustainable development projects. The emergence of community-based alternative currency movements and participatory budgeting groups,offers ethical solution to economic devaluation. Part of the Ethical Markets 4 film series, the program illustrates how changes in ethical objectives also reflected in the global business environment, can be mobilized by grass roots organizations as capacity building instruments on public-private partnership initiatives.